Chinese New Year, also commonly known as the Lunar New Year, is one of the world’s most prominent and celebrated holidays. It is the most important annual event for many countries in Asia and the cause of the largest annual human migration in the world. This year the festival starts on February 5th, 2019. You can guarantee that any city with a sizeable Asian population from Shanghai to Boston, will be throwing a big celebration. This year ushers in the Year of the Pig, one of the twelve Chinese zodiac signs often associated with calmness, intelligence, and caring nature. By implementing some of the tips and activities we recommend, you can show your international students that you appreciate their culture and that they add value to the community. It is easy for international students to get homesick during this time as they see their peers and family celebrating together at home. These small measures to celebrate your students’ culture can help ease their homesickness. How long does the Lunar New Year celebration go on? Unlike in the United States, where New Year’s celebration consists of two days (New Year’s Eve and New Year’s Day), Lunar New Year features a massive celebration lasting anywhere from a week to 15 days. While the official public holiday period is seven days long, some parts of China, particularly in more rural areas, will be closed for the entire 15-day period. The 15th day of the new year is celebrated as the Lantern Festival, signaling that the New Year celebration is complete. Do I need to do anything special to prepare for the Lunar New Year? Chinese families clean their homes fastidiously to get rid of any “bad luck” that has accumulated throughout the year. However, cleaning during New Years is strictly forbidden as that would entail sweeping away the “good luck” one has received from the coming of the New Year. Do you celebrate with friends, family, or both? Whereas in America, New Year celebrations usually happen outside the home and with friends, Lunar New Year celebrations at home with family. Typically, this entails a feast that can last up to 7 hours and feature up to 18 dishes. Tell me more about this feast. It’s important to understand that it is by far the biggest and most important meal of the entire year. For this feast, family members, including extended family, sit around the dinner table in order of their ages. Moreover, if a member of your family cannot attend the dinner for some reason, it is tradition to leave an empty seat at the table to recognize absent family members. Depending on the size of the family, 8, 16, or 18 dishes will be served, because these numbers are considered lucky. For example, a large family will feature 18 dishes consisting of four cold appetizers, four hot appetizers, eight main entrees, and two soups. If you’re looking for an authentic Lunar New Year recipe, see our fun and easy-to-do dumpling recipe. Is there a Lunar New Year equivalent to watching the ball drop in Times Square? In China, many families watch the Chinese Gala, a special variety show broadcasted on Lunar New Year’s Eve that features musical performances, drama, comedy, dances, and more with famous Chinese celebrity appearances. This show lasts for several hours and is incredibly popular. Are there any unique decorations I can use to spruce up my home or school? Many Chinese families will decorate their homes with objects that are red. Red symbolizes good luck in Chinese culture but more so because red is said to scare away Nian, a mythical beast that is believed to come out of hiding to attack people (particularly children) around the time of the New Year. 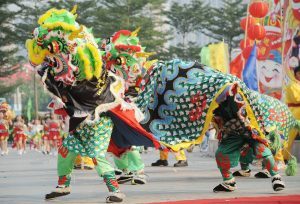 The traditional Chinese Lion Dance is also associated with driving the Nian away. Are there any other traditional celebratory activities? Light small firecrackers, as the noise is said to drive away Nian. Give “hong bao” to young children; “hong bao” is the name for the red envelopes that are filled with money or treats and typically given to children. Again, these are red as the color is said to bring luck. Visit a parade, which can be found in many Chinatowns in your nearest city during New Years. These parades often include dragon dancers, vendors selling sweets, and music. Is there anything I should avoid during Chinese New Year? Great question! Just as there are traditional ways to celebrate Chinese New Year, there are some practices to help maintain the good luck brought by the New Year. You shouldn’t clean or sweep your home during New Year’s as you may accidentally sweep away the good luck that comes with a new year. You should not get a haircut during or right after the new year (it’s the same idea as cleaning, don’t cut all the good luck away). You should avoid doing any knitting or needlework during New Year’s as this type of work is said to encourage a year’s worth of arguments with friends and loved ones. Finally, you should avoid any unhappy thoughts, words or situations as the New Year is a time to celebrate the good things in one’s life rather than to dwell on the negatives. 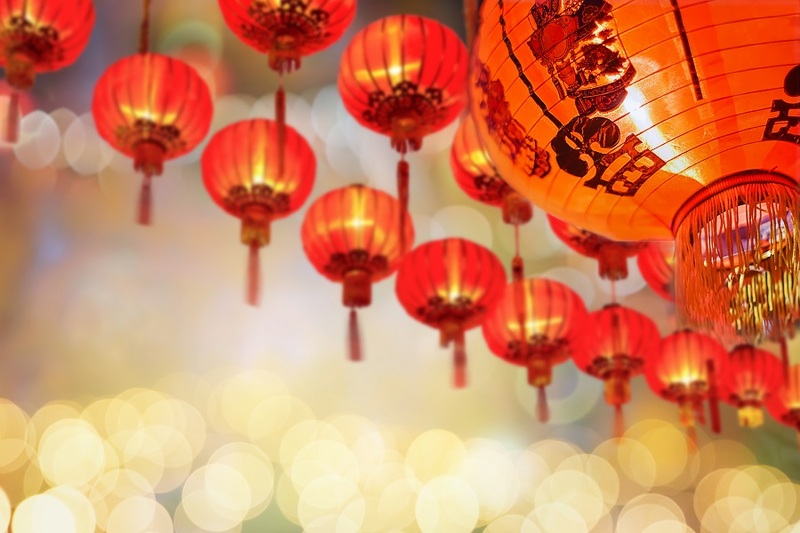 We hope that this brief guide helps you celebrate the Lunar New Year with your friends, family, and students. Don’t forget to tag us or send your pictures and videos of your celebration to your school’s Program Manager. Do NACAC Policies Work for High School Admissions?